Make your own fashion destiny with these glittery Fate wedges from Carlos by Carlos Santana. 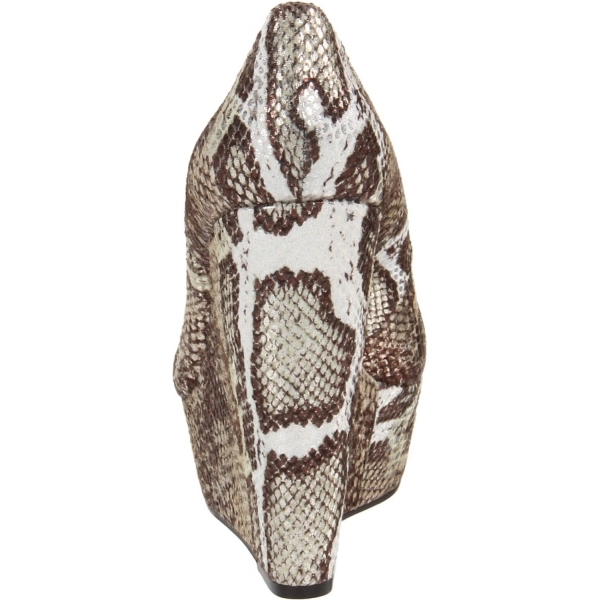 You'll feel like you robbed the runway when you have this fierce wedge from Carlos by Carlos Santana on. 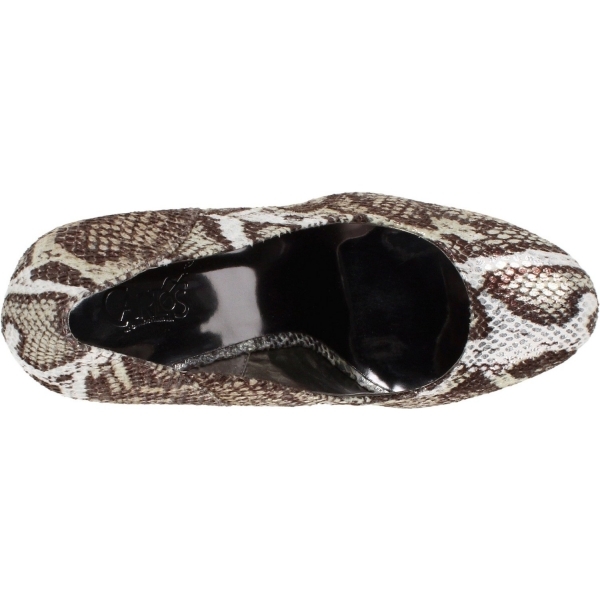 Fate features a pewter multi snake print upper, for that perfect accent to your outfit. A 5 1/2 inch wedge and 1 1/2 inch platform completes this sly and seductive pump making it a must for an eye-popping evening.